You have the perfect gift picked out- perhaps these “Amore” Champagne Flutes, my personal favorite. Now it is time to have that perfect Valentine’s Day date night with your loved one. Since it is Valentine’s Day, I recommend taking a step up from your usual dinner out attire. The blazer is a go-to that makes elevating an outfit easy and comfortable. This entire look is centered around a navy blazer, perhaps the most essential wardrobe piece. Pair with a slim fitting shirt and chinos for an easy yet sophisticated outfit that will be comfortable to wear. 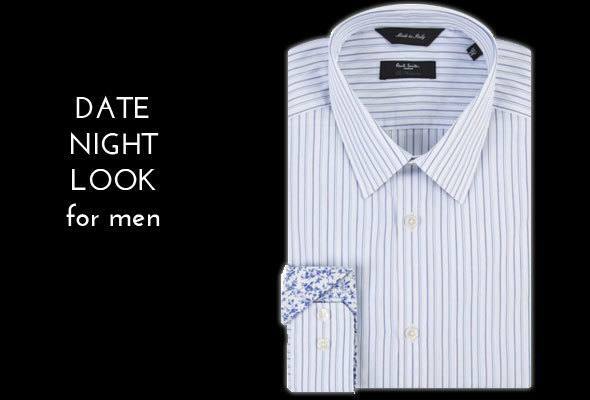 This sport shirt by Paul Smith offers contrast cuffs to add a little interest. Finish the look off with a stylish, eye catching belt. This type of outfit is great because all the pieces can be used separately for various other occasions such as a casual Friday in the office or Sunday Brunch. 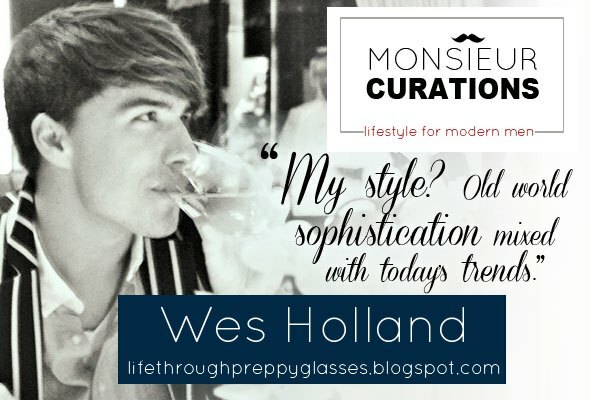 If you are going to a rather fancy restaurant, this look can be elevated even more. Layer a sweater overtop your oxford to not only add color but also add a sense of preppy sophistication. Additionally, a pocket square would dress up the entire look as well. 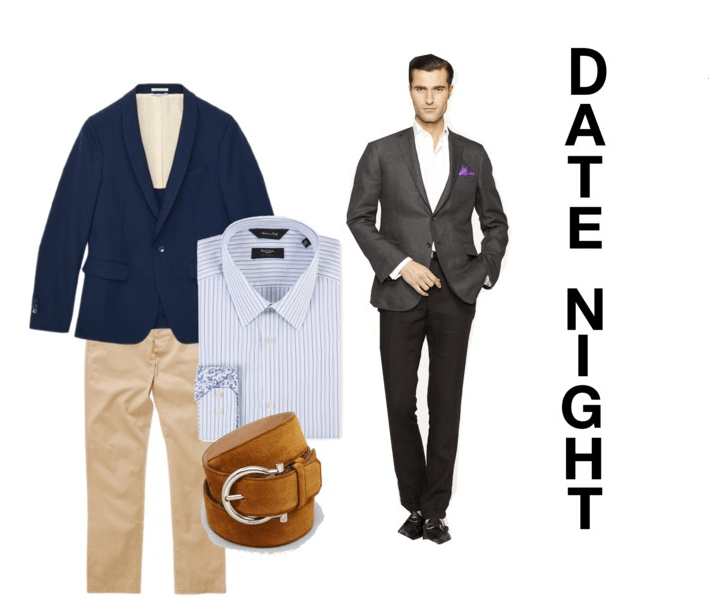 You will be sure to be dressed to impress your date! While your Valentine’s Day date spot should be important to you for personal value, if you are spending the night in the New York, I recommend trying Gemma at the Bowery Hotel. This is my personal “spot” in the city and it never disappoints. 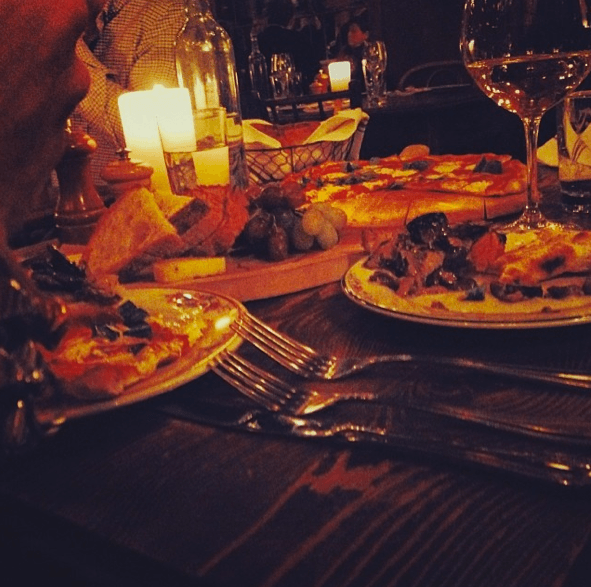 The interior is an inviting warm, rustic Italian vibe, perfect for dates. The restaurant features an amazing menu and a very extensive wine list with a Sommelier that is more than willing to help you find the perfect bottle for your meal. Note: Gemma only accepts reservations for large parties.